Many species from various parts of Europe and North Africa . Matt has an extended knowledge of european butterflies that few people have and provides instructive content about them, especially with regard to identification criterions. The great quality and fine details of the pictures will strike you, Roger is a talented photographer. Lots of field data that enhance our fascination for butterflies. Some visual keys for identifying Lycaenids and Skippers. NEW ! Pieter and Brigitte live in the south of France where they study butterflies and their biology. They make exceptional videos and scientific publications about them. Visit their superb website ! For your eyes only. Beautiful and artistic pictures of european butterflies. Guy has an advanced knowledge and experience acquired in the field, particularly in reference to mountain species identification. He shares with visitors some scarce sightings as well as natural observations that are not found in books. An authoritative website on the butterflies and moths of France. The species pages include updated distribution maps and nice photographs by different contributors. A very nice gallery of Pyrenean Butterflies. Get to the homepage and see all the possibilities for making naturalist trips in this beautiful and authentic part of France. Tim is a proficient observer in the field and carries out a permanent study on the subject of butterflies of the Rhône (France). Thanks to this scientific work, some updated information is now available on this area which formerly was poorly known. A website dedicated to Zygaenidae , by the GIRAZ (group of French specialists). Website of the Butterfly Conservation's European Interests Group, the main organisation in Europe which promotes study and conservation of lepidopterans and their habitat. 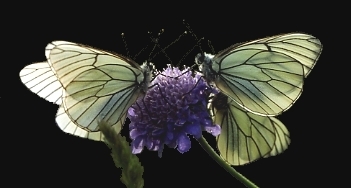 Visit the superb 'jardin des papillons' of Digne-les-bains (South-East of France) and discover Proserpine's activities, a French organisation which promotes knowledge of butterflies and their protection. An authoritative site about butterflies. Scarce and outstanding pictures of eggs, early stages, mature caterpillars and pupae. Beautiful butterfly & wildlife photographs. An authoritative site about plants, their identification and distribution. About plants of France. Nice and useful content. Pictures and description of mountain plants. A rich database dealing with ants. A very efficient visual key for identifying european ants. Much information on families of insects, as an encyclopedia. An instructive content, pedagogic and well illustrated. Some information about Tachinid flies, mainly american species. A source of information on chalcidoid wasps.